Happy Chinese New Year, Shan Shan! It’s confession time! We got Feng Teng’s confession during their Merry Kissmas, and now it’s Shan Shan’s turn on Chinese New Year. Let’s not forget about them sharing fireworks during New Year’s Eve on the rooftop balcony. Shan-Teng sure love their holidays, and I love that we get so much cuteness from them! The Fengs, Shan Shan, Li Shu, and Zheng Qi are done picking foods at the farm for their Chinese New Year’s dinner, so everyone’s just chilling around there now. On a walk together, Li Shu tries to alert Feng Teng to the fact that Zheng Qi and Shan Shan seem to have a lot in common. Feng Teng agrees that she and Zheng Qi can talk to each other easily because Shan Shan is such a friendly person to everyone. That’s right, your plan isn’t quite working, Li Shu. Since that tactic failed, Li Shu tells Feng Teng that she always thought he would like girls who are elegant and worldly like his mother. No need for sunglasses because there’s mad shade here. Feng Teng replies that there aren’t that many women out there that are like his mother, and in matters of the heart, he likes things to come naturally. The group decides to go fishing, but poor Shan Shan doesn’t know how and Feng Teng sees her struggling with using the fishing pole. When she tells him that she doesn’t know how to use it, he tells her to go pick some turnips instead. Kinda harsh punishment for not knowing how to fish, don’t ya think? After awhile, Feng Teng goes over to Shan Shan and asks why she’s only pulled out so little turnips during this time. When she pouts about it, he says that she was the one who said she didn’t know how to fish. Shan Shan says that even if she doesn’t know how, she can still learn. Probably waiting this whole time for her to say that, Feng Teng asks if she wasn’t the one that previously said that she wasn’t interested in using a long line to catch a big fish, meaning waiting for a better reward instead of settling for instant gratification. He’s the fish, duh! Well, Shan Shan tells him that she’s interested now. Interested in the fish or Feng Teng? Teach me how to fish. Feng Teng’s probably jumping up and down on the inside, but still has to play it cool. He says that if she’s interested in catching the bigger fish, then she should give it a hint then. Omg they even make all this nonsensical fish talk sound super cute. He brings her over to the pond, and holds her hand with the fishing pole. He stands real close to her, cheek to cheek, and tells her that she needs to let everyone know that she’s reserved the entire pond. That’s right; hands off the fish and pond, everyone else. Back at the house, Feng Yue sees Li Shu pacing around and acting anxious and pulls her aside. She asks Li Shu why she’s being so unfriendly towards Shan Shan today, and Li Shu says that she’s just confused because Shan Shan had told her directly that she doesn’t like Feng Teng. Feng Yue asks her if she has started to like her brother, and Li Shu tells her that she never stopped liking him. She refuses to tell Feng Teng though because she wants him to like her on his own, and not because she confessed her feelings to him. Li Shu then tells Feng Yue that she’s only so bothered about him lately because she doesn’t understand why he would like someone like Shan Shan. Haters gunna hate. After their Chinese New Year’s dinner, Li Shu suggests that they dance instead of just sitting around doing nothing. Dance…what? Is this something only rich people do because I have never ballroom danced before on Chinese New Year. Shan Shan is obviously paired up with Feng Teng, but instead of this being a romantic first dance they’re having, Shan Shan keeps stepping on his feet. Feng Teng gets annoyed that she can’t get the steps right, and pushes Shan Shan to the verge of tears. Zheng Qi comes to her rescue and volunteers to teach her how to dance. And when he also fails, Feng Yue’s husband, Yan Qing, steps up to the task. After that really exciting dance party (not), Feng Yue and Yan Qing leave the house early to drop off their baby at Yan Qing’s parent’s house while they fly to America. That means that Shan Shan and Feng Teng have the house all to themselves tonight! Ooohh. At first it’s super awkward because neither Shan Shan nor Feng Teng are talking, and they’re literally just sitting there looking around the room. Finally, Shan Shan asks him what they should do now. Feng Teng asks her what she wants to do, in a flirtatious way for sure, and Shan Shan says…watch the Chinese New Year TV special! Shan Shan rushes off to get some fruit for them so they can eat and not have to talk to each other. 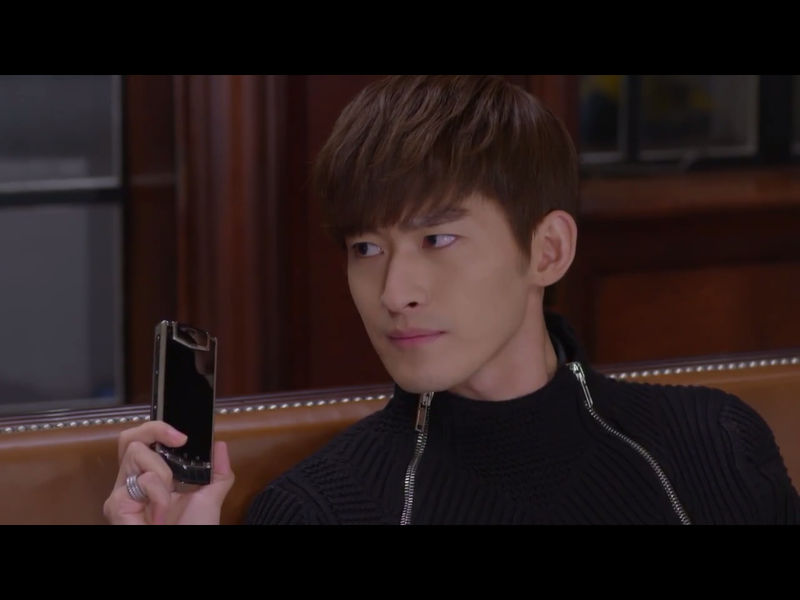 While she’s in the kitchen, Feng Teng receives a text message from Shan Shan wishing him, “Happy Chinese New Year.” When she’s back, Feng Teng asks her why he’s getting this text from her when her phone was stolen. Shan Shan confesses that she previously wrote it and set it so that it gets sent now. Hearing this, Feng Teng gets pissed because he thinks that she texted everybody in her phone the same message. Shan Shan reassures him that she only sent the text to him, and is incredulous as to why he’s making her feel so bad about just a little text. I don’t get a personalized text?! Feng Teng turns off the TV, and asks her if she’s still trying to play hard to get with him. Shan Shan is caught off guard by the question, but tells him that he’s the one who’s playing hard to get. She says that even though he tries to act cool and like he doesn’t care, she can feel how gentle he is towards her. And these mixed signals that he keeps sending to her is giving her hope that there’s something there. Feng Teng is speechless and doesn’t know how to respond to what Shan Shan is saying. Shan Shan continues by saying that she’s never really dated so she doesn’t know what it’s like. And before the company party, she had never even thought about them being a possibility. But after their kiss and then not seeing Feng Teng the following days, she realized that she felt disappointed when she doesn’t see him. She felt embarrassed when he had to come pick her up from the police station, but is grateful to have spent Chinese New Year with him. Shan Shan tells him that she might not have the password to his heart, but she is willing to give him the one for hers. She ends her confession by telling Feng Teng that she likes him, and asks him to take a look at her to see if she’s the type that he likes. Feng Teng hasn’t said a word during the entire confession, and doesn’t respond to Shan Shan’s question. She interprets his silence as a rejection. She tells him that it’s okay, wishes him a Happy Chinese New Year, and holds out her arms to hug him. Feng Teng gets up from his seat, walks up to Shan Shan, and pulls her in for a kiss. Oh my god. Shan Shan is frozen from this sudden kiss, and when Feng Teng breaks off from kissing her, he tells her, “Xue Shan Shan, let us try.” And the kissing continues! SHAN-TENG <3. I’m legit all teary-eyed during this entire scene, first from Shan Shan’s monologue about falling in love with him and then Feng Teng’s romantic gesture. All this cuteness calls for happy tears! With Shan-Teng officially established, Shan Shan and Feng Teng do coupley things like play games together, but obviously being super cute. When Shan Shan keeps losing, Feng Teng suggests that they read together. They even make reading and reciting poems about lychee adorable! While they’re just sitting on the couch together, Feng Teng wonders aloud why he’s suddenly remembering all these happy memories that he had with his parents. All thanks to Shan Shan, of course. Feng Teng calls Shan Shan to make sure she got to the airport safely since he couldn’t take her, and she thanks him for all the presents he’s sending with her to give to her family and also for the ID tag. She says how weird it is to see the number changed from her dad to his, and Feng Teng tells her that she should start getting used to it from now on. Although Li Shu has always liked Feng Teng, she tells Feng Yue that her mother, the Feng siblings’ caretaker when they were young, disapproved of it. She didn’t want people to think that she was pushing her daughter to marry into a rich family. 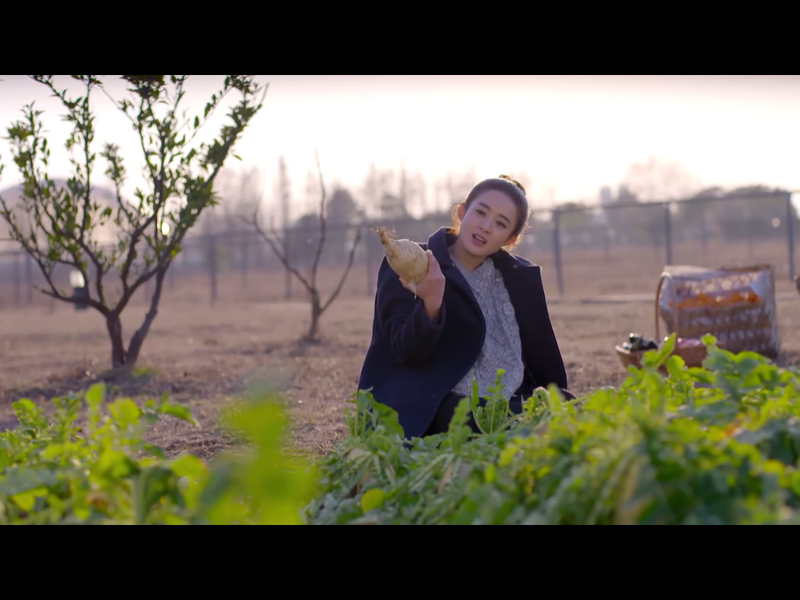 While dancing with Shan Shan, Yan Qing tells her that when he first started dating Feng Yue, he too was worried about how a regular person like himself can marry her. He advises Shan Shan to not get discouraged and that she will realize that this is a wonderful family. After Shan Shan left, Feng Teng and Zheng Qi go fishing together. During this bro time, Zheng Qi tells Feng Teng that Li Shu likes him. Feng Teng laughs it off at first, but then realizes that she’s hinted about it to him in the past. Yan Qing is a nice person. That ID Card as a present was so sweet.